The plot DID seem to meander a bit, but it was still a fun read. Nothing was too mature or offensive for the Young Adult crowd, but the foreign students were a tad to inept to be real. The tone did shift into a much darker mood in this book, but that should be just fine if this is the setup for the remaining books.I just read in Cinescape (#64, September 2002) that the fifth book is slated for June 2003, and is currently called "Harry Potter and the Order of the Phoenix". I hope this is the final title, and we don't see any changes between the Great Britain and US market.Enjoy! 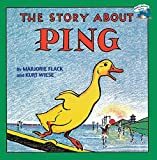 I never read this book when I was a kid, but as an adult, I felt the magic and shared it with MY children. I probably ran across his poems when I was young, but never knew who wrote them. That's a shame because I missed stepping into Shel's world completely until I was in my 20s.My kids love these poems, and have since they were old enough to giggle. I take them to read-aloud in my children's classrooms now, and make darn sure new generations not only know who Shel was, but know that he's the magician behind the poetry.If you haven't read this book, or any of Shel Silverstein's others, you are missing out on an important part of life--to laugh and connect with the rest of the world through childhood and laughter and the silliness of life.I'd give it ten stars if I could. Sufice it to say that I love the book and all the books so far, but I have to say the going has been quite slow. Although you cannot say that it has been boring!I have recently read the second book of the Belegriad by David Eddings and guess what, the characters seem very similar in the two story lines. There is the rescal/thief who loves gambling, a mysterious sorceress with dark hair and regal/queenly bearing, a very big (physically) individual that has an animal aspect to him, a girl or two thrown in who is either a princess or aot so ordinary girl and of course the understated hero. I found the similarities very startaling, and wondered if anyone else had seen the comparison?I still enjoy these books and have bought all of them so far and can't wait to get the 9th book. I read a few of the reviews before I started writing to see how other people felt about this book. It seems we all feel the same. I reread passages so as not to miss a single nuance. It would be would definitely be one of my "Desert Island" books. I, like another of the reviewers, finished reading and then sat down and reread it. It is intricate, insighted and compells you to think and concentrate so as not to miss .... anything....a single word.....If I could give more than 5 stars I would. This book has everything - plot, love, murder, "tone", style and a deft ending. We are in Mobile, Alabama in the middle of a gruesome murder investigation. Carson Ryder, young detective, and his partner, Harry Nautilus, battle the elements, old and new secrets, walls of silence and internal bureaucracy as they attempt to solve this case. The bad guy was authentically crazy and the good guys had their faults. A subplot involves Ryder's deranged brother who gives him insight into how madmen think. Of course, there is a price for such information...I loved Ava and the way they became a couple. I'd like to see a sequeal to this if at all possible. Great read! Excerpt from a letter to my frend, author Donald Stanwood: Don - I am glad you have picked up "The Runaway Jury" to read (by now you've finished it, no doubt). I found it to be thoroughly entertaining. One needs to set aside recent historical events re: Big Tobacco but I think in general it works. It's pretty convoluted, but definitely imaginative and clever in my opinion, and I do believe it delivers nicely. I did not have much difficulty with the implausibility of the plot because I thought it was so richly detailed. The biggest problem I had was how Jurror #2 made it to this jury (It simply is not that easy) but other than that, a page-turner it is! Thomas Oden brings his usual passion to this work of theology, combining Biblical, Apostolic, Patristic, Medieval and Reformed thought into an excellent exploration of fundamental Christian doctrine. Oden is a "thinking person's conservative" who does not gloss over challenges to traditional Christian doctrines, but almost always concludes that the traditional doctrines are, in fact, correct and have stood the test of time and experience. I especially like Oden's ecumenical focus ... as one other reviewer remarked, this is a book that will be valuable to Catholics and Protestants, Calvinists and Wesleyans, High-Church and Low-Church. In sum, incredibly worthwhile! If nothing else, this book teaches that, no matter what, you should take responsibility for your own actions. To avoid a little spank on the back, Ping hides, his home floats off without him, and he gets in what could be serious trouble. When he finds his home again, he realizes that a little spank for being the last one home is well worth it just to be home again. This is NOT a book about capital punishment: The spank is NOT a punishment; it's a reminder to Ping (or any other duck who is the last in line to go up the ramp into the home boat) that you need to pay attention to what's going on around you and to try as hard as you can to do your best...and, like another well-known story, there's no place like home! From the very first sentence this book grabs you and doesen't let go. DeMilles first person writing style gets you into the mind of the hero. John Corey a wise-cracking homicide detective convelsing on Long Island. He is paid a visit by a Friend who happens to be the Chief of police in the quiet Town in which John is staying and asks for his help in solving a double murder of two biologists that work on Plum Island the governments top secret lab so dangerous it is housed on a island. I don't want to give it away but this book is the best i've ever read. Isn't it interesting that the majority of the readers who "dis" a book never give their names?So many challenging, excellent books are about difficult subjects and this one is close to perfection. For those that appreciated the "dead soul" viewpoint, I would like to recommend "A Blessing on the Moon" by Joseph Skibell, it's equally as provocative as Ms. Sebold's latest novel...don't miss it.